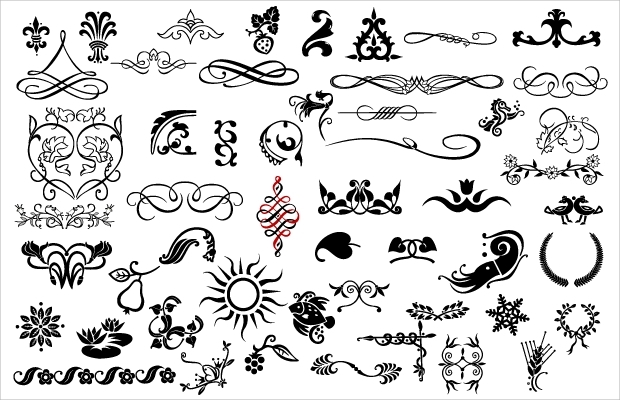 Ornament vector designs come in a range of unique shapes and are an integral part of any graphic designing project. 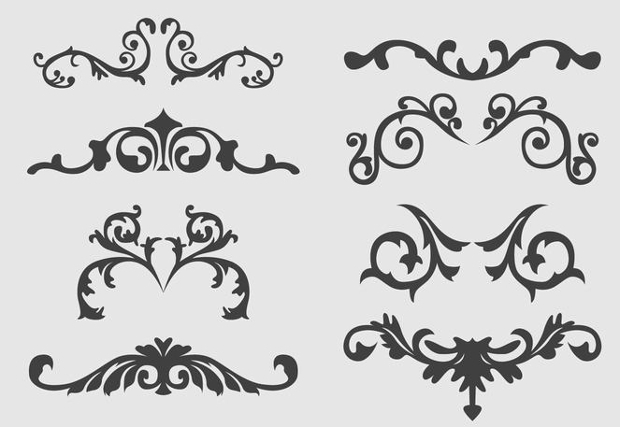 From simple bordering to extensive intricacy, ornament designing can completely change the look of your work. 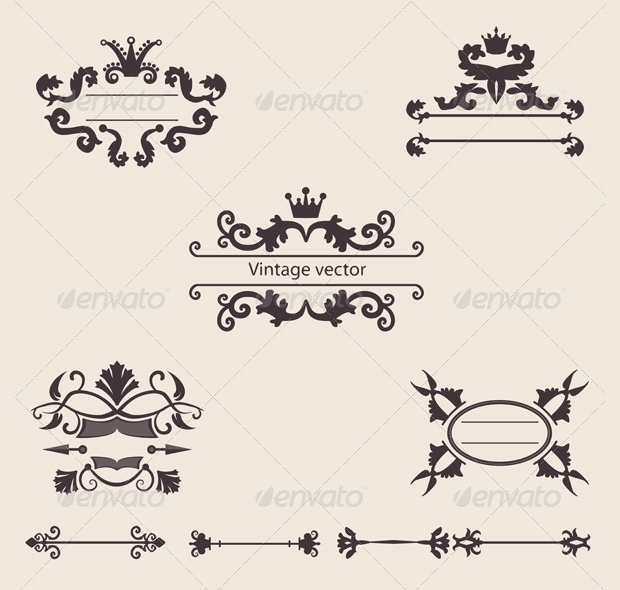 Depending upon your exact requirements, you can also customize ornament vectors to represent retro, Victorian, vintage, flourish and a lot of other moods. 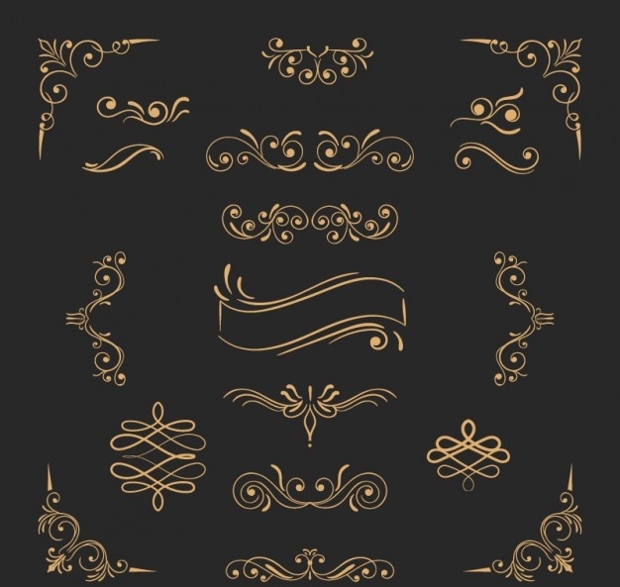 Here’s a collection of the finest typographic ornaments, decorative corners, swashes, floral decorations, text dividers that will offer a fresh mood to your work. 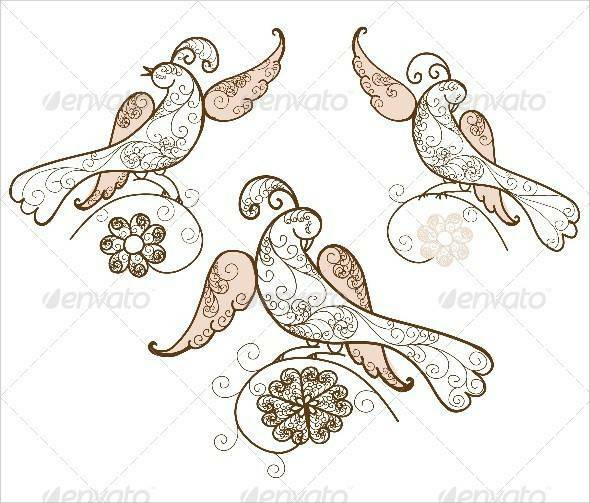 This striking vector illustration is representative of three decorative birds in various types of perches. 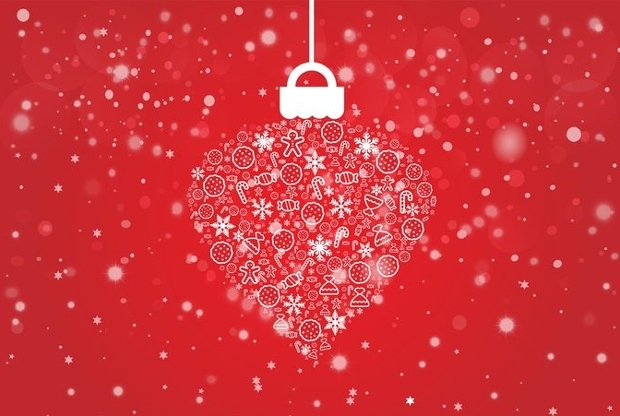 Perfect as ornaments, this design can also be used in unique graphic design work, including greetings cards and special posters. 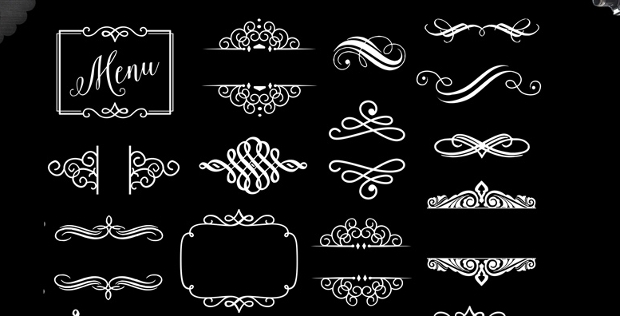 An extensive set of intricate decorative pattern vectors; this would be a great tool when designing for parties, weddings, receptions, events, greetings cards and even logo. The files come as high quality PNGs and PSDs and can thus be easily integrated into your design. 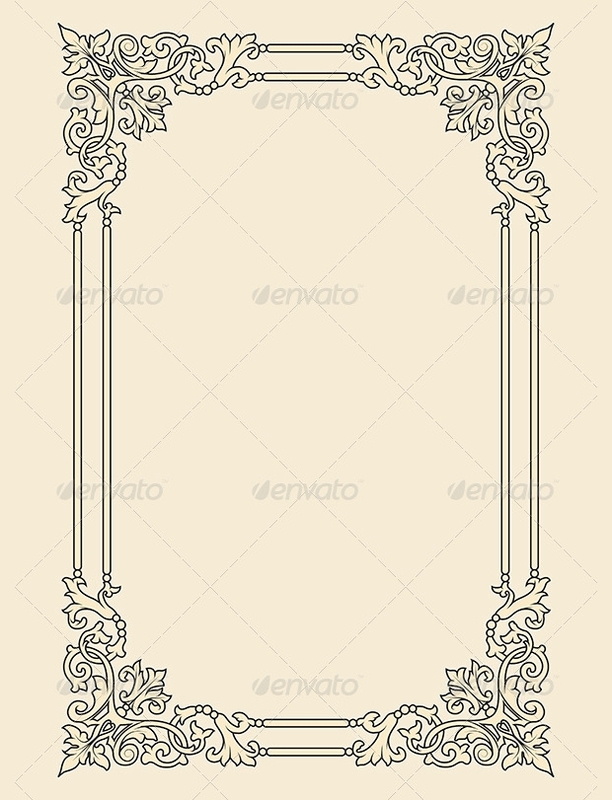 Looking for a vintage decorative frame design to give a unique mood to your poster? This could be a great answer! The mood created by this particular design is both intricate and old- something that you would relate to a seventeenth century thing. Here’s a complete set of thirty five party designs that perfectly suit the mood of Christmas celebrations. 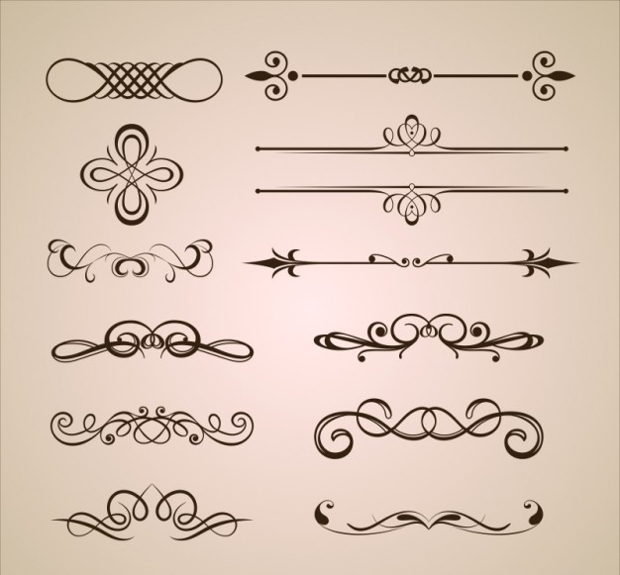 The calligraphy vectors can be used by anyone to give a unique edge to their self-designed greetings cards, posters and party invitation banners. 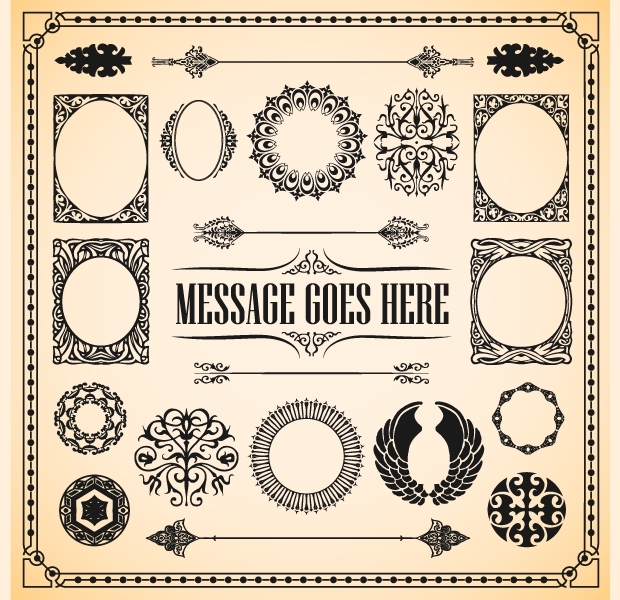 Now, here are some really unique designs that can act as the center place of your design work. Perfect as the frame for the main text, you will now be easily able to highlight the message you are trying to get through. 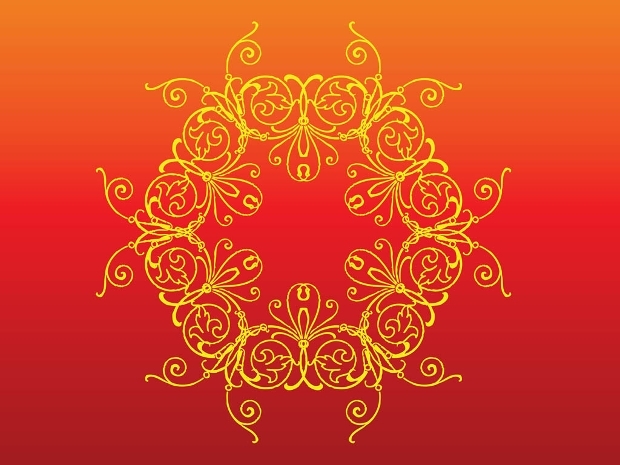 The frame vector could be a part of logo designs, business cards and even posters. 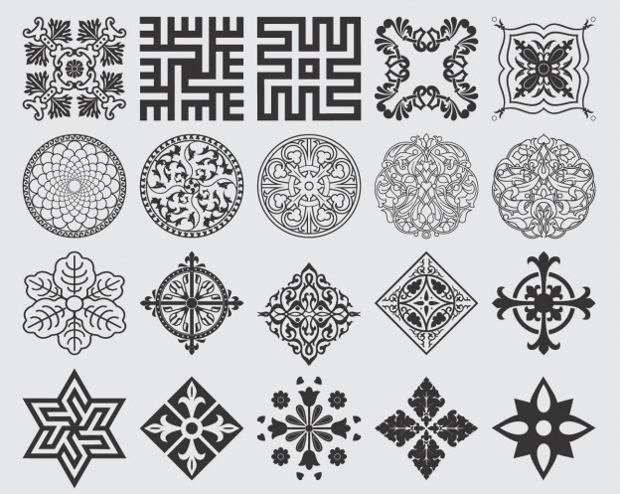 Snowflakes are perhaps the closest representative of natural intricacy when it comes to patterns. 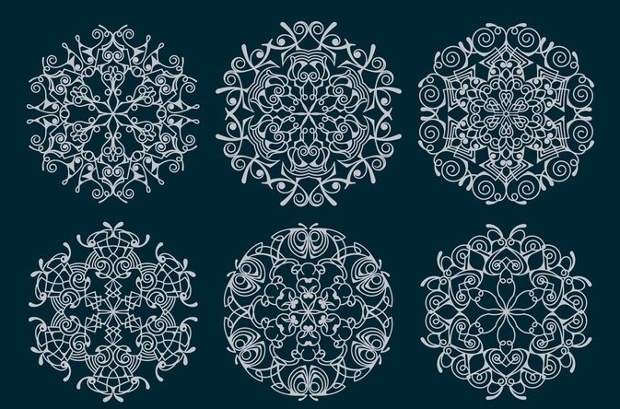 Well, here are some amazing looking snow flake designs that can be a part of your next design project. The limitations of application are only dependent on your creativity! 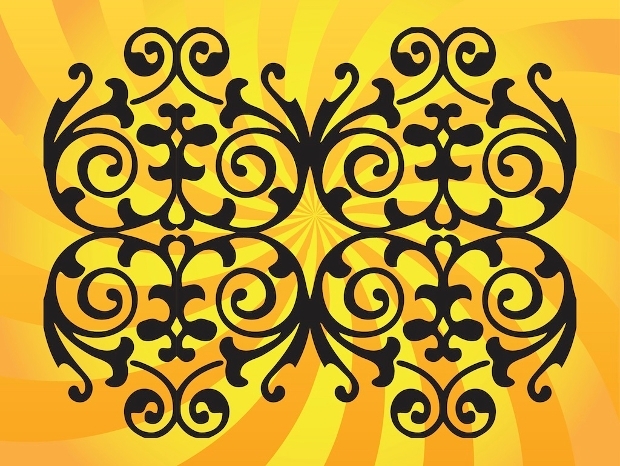 This is perhaps the most beautiful patterns you would have ever come across recently. 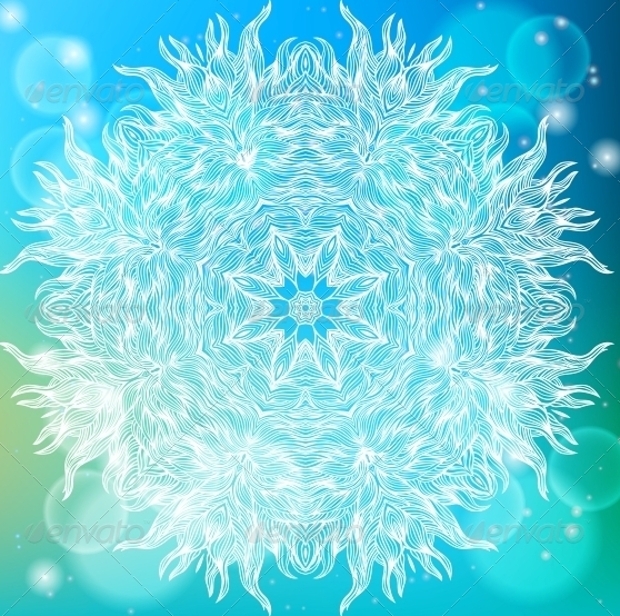 Placed over a glowing blue background, this intricate snowflake will certainly be a party essential this season. 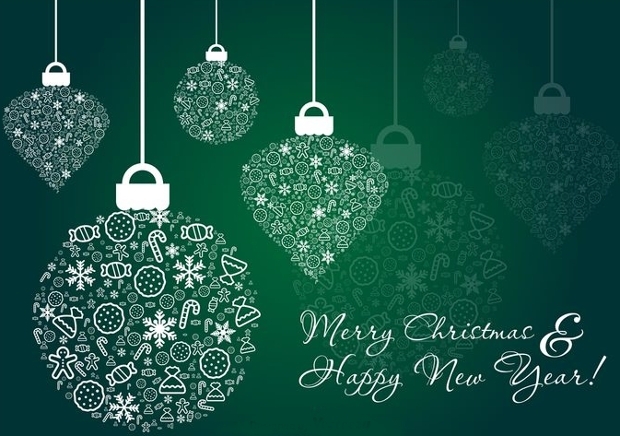 The vector is perfect to be integrated into Christmas home décor, New Year party invitation cards, holiday cards and any type of season greetings you would like to hand out. 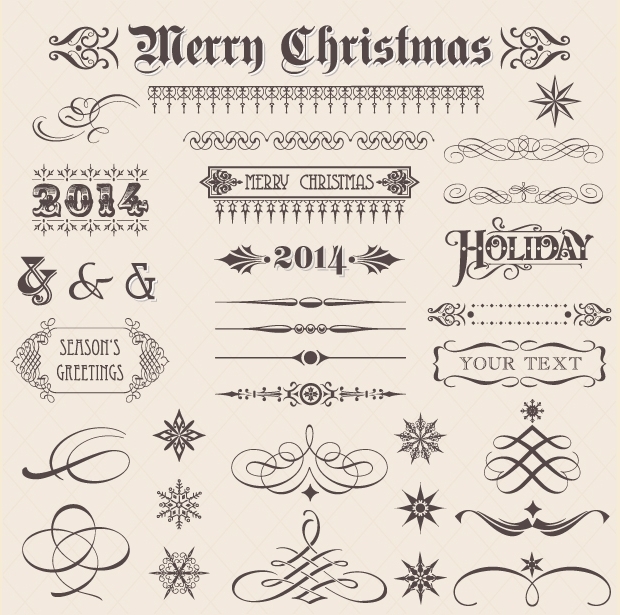 Now, here’s a collection of several Christmas designs in intricate patterns. 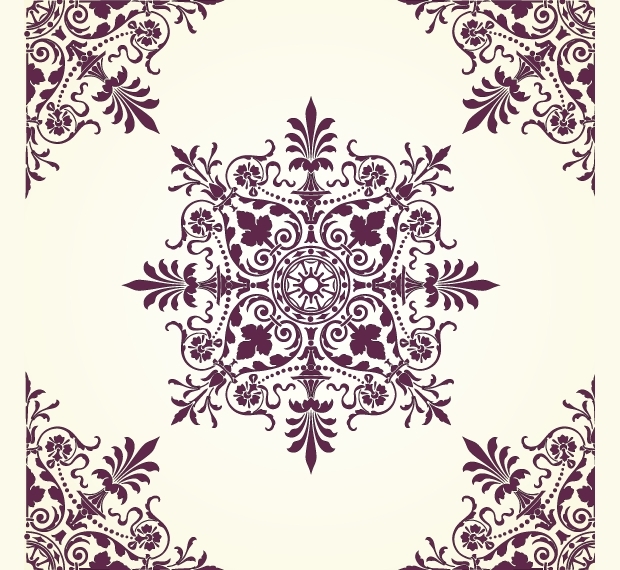 Perfect to be used both as wallpaper, a home decal and a greeting card cover, these patterns are certainly among the most fresh design work you would have seen recently. This is something different. 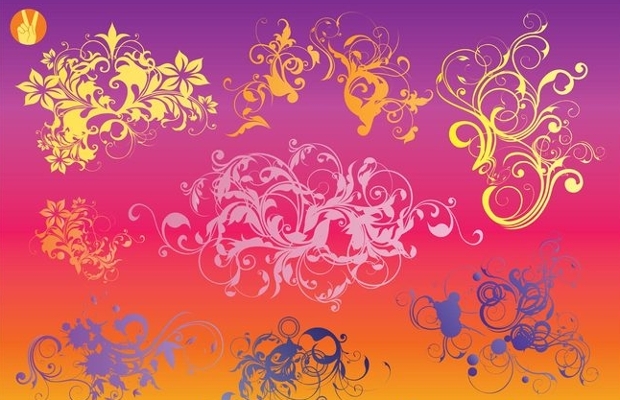 These patterns comes in a unique floral thee and integrate colors and patterns that can turn any boring design into an interesting piece of artwork. 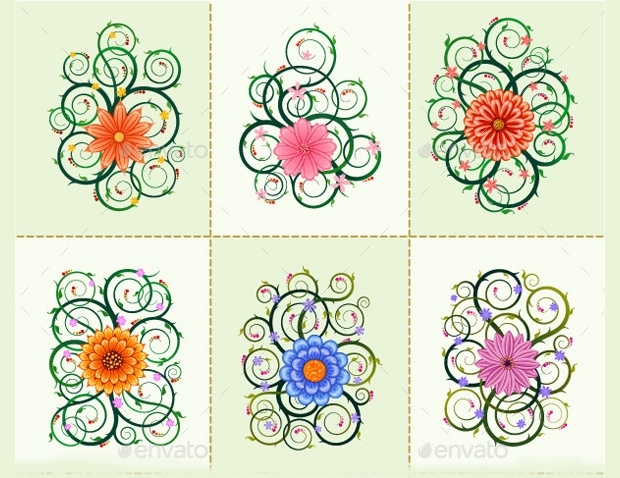 Following a classic romantic theme, this set of eleven floral design PNGs can easily spice up your day! 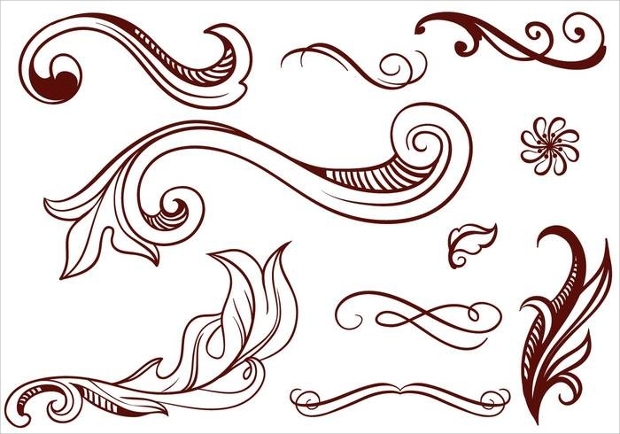 Another intricate collection of abstract patterns, this set of illustration can be a gorgeous addition to any graphic designer’s tool kit. The best thing about the design is not the shapes but the beautiful color gradient each follow. The designs are also open to complete customization, as far as the color is concerned. Also, being every high quality, you will not have to worry about scaling. We hope you liked the collection and will certainly be using a few in your next design projects. We certainly would like to see what end results these adorable vectors meet. Do share your work and thoughts with us.